Looking for a Used Rabbit in your area? 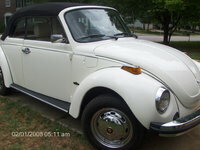 CarGurus has 252 nationwide Rabbit listings starting at $1,000. For the Rabbit's third year in production, Volkswagen added an optional 1.5-liter diesel engine, which was able to pump out just 48 horsepower. But while the diesel may have lacked in power, it made it up with exceptional gas mileage, nearing 50 miles per gallon on the highway and 40 mpg in the city. This was an important consideration for drivers at a time when gas prices were soaring in America. 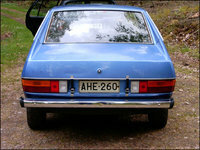 The diesel joined the Rabbit's standard engine, a 71-horsepower four-cylinder engine installed sideways, so that it minimized the amount of space it required. And because the engine was mounted in the front, it provided additional traction for the front-wheel-drive vehicle. A four-speed manual transmission was standard in the Rabbit, while a four-speed automatic was available as an option. 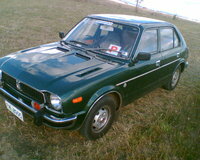 The Rabbit was available as either a two-door or four-door hatchback. Standard equipment included padded sun visors, a rear window defogger, and specially designed front and back seats that improved support for the lower backs of passengers. Optional equipment included fog lamps, air conditioning, a passive restraint system, a racing-type steering wheel, and a European-style shift lever. Drivers and reviewers noted that the Rabbit excelled in its handling and was a fun car to drive. But numerous quality issues were also reported by drivers, and regular maintenance was required to ensure the car performed properly. 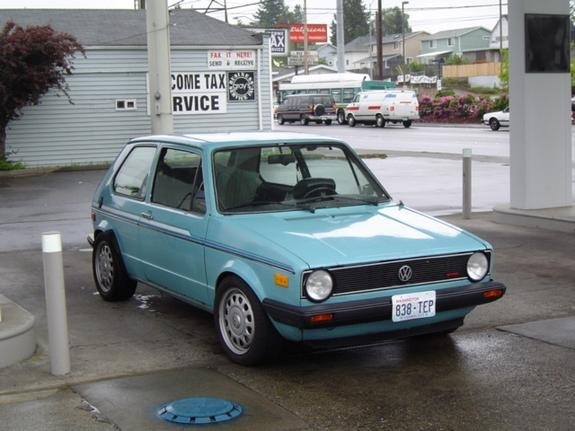 What's your take on the 1977 Volkswagen Rabbit? coso I owned a Panama Brown (orange) one. It was my first car with a manual transmission that I ended up loving. Because the auto mechanics in my area of Virginia [at the time] were very unfamiliar with fuel injection, or almost anything non-American, I had to run to the dealership each time that car coughed. This ended up costing me too much money, so I sadly bought an American brand with a manual transmission. No car I've owned in the years since were able to match the rabbit's performance. Pascally The one I got in 1977 was a lemon. The catalytic converter went out twice. It caught on fire on the freeway, the brakes went out, and the tires blew on the freeway. So sad. It was baby blue. So cute but a truly terrible car. Have you driven a 1977 Volkswagen Rabbit? What Is A 1977 Rabbit Worth If It Does Not Run? What was the original wheel and tire size for 1977 VW Rabbit? Thx.